Creating a flawless smile shouldn’t be something you can only dream about. At Dream Dental, our goal is to make the beautiful, healthy smile that you imagined a reality. Whether you’re looking to brighten or perfect your smile, dental bonding may offer an effective, cosmetic dentistry solution. If you want to learn more about the treatments we offer to improve the look and feel of your smile, call our Woodstock dental office to schedule a cosmetic dentistry consultation. During this initial appointment, we’ll examine your smile and help you to create a personalized cosmetic dentistry plan to deliver a picture-perfect smile you’ll be proud to share. Dental bonding is a procedure that uses tooth-colored composite resin (used in fillings) to correct and conceal cosmetic flaws. It offers an affordable, conservative, single-visit cosmetic dentistry option that allows patients to create a flawless smile they will be proud to share in every personal and professional situation. Dental bonding is not the right option for every patient. Because of the limitations of the composite resin materials, we will usually only recommend these solutions to correct a limited area of the smile. However, we can utilize composite resin dental bonding to perfect smiles with minor chips, cracks, gaps, and staining. 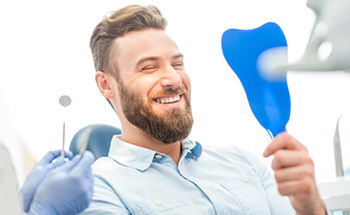 During a cosmetic dentistry consultation, we’ll review your unique situation and help you to determine whether or not dental bonding is right for you. What is the Dental Bonding Process Like? One of the many benefits of cosmetic treatment using composite resin is that the process is completed in just one appointment. We begin by numbing the treatment area. Then, any damaged or decayed tooth structures will be removed. An acidic, etchant material is applied to the surfaces of teeth. This etchant creates a more porous structure to allow the composite to create a solid bond with the healthy tooth enamel. After the etchant, the putty-like composite resin is applied to teeth. It’s shaped into place correcting and concealing cosmetic irregularities. Once in place, a low-heat curing light is used to harden the composite resin into position. Finally, we smooth and polish your treated teeth, creating a picture-perfect smile. With proper care, your dental bonding should remain in place and beautiful for ten years or longer in some cases. Like natural tooth structures, dental bonding is highly absorbent. This means that consuming darkly colored foods and drinks and using tobacco will lead to staining that may mean you’ll need to repair or replace your bonding materials more frequently. In order to avoid wearing away the composite, we’ll want to review your oral hygiene products. 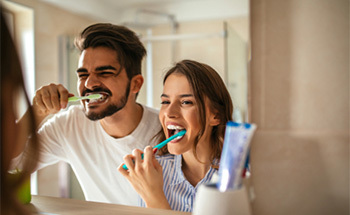 Minimally abrasive toothpastes, ultra soft toothbrushes, and waxed flosses are all recommended to protect your smile after the placement of dental bonding. 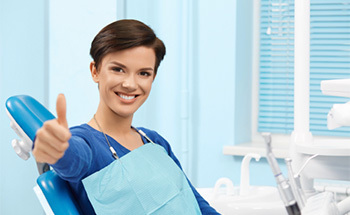 During six month dental exams, we’ll be happy to help you develop the most effective oral hygiene plan possible to preserve your beautiful smile.